Why is this program good for you? This anti-theft program was designed to recover stolen vehicles in a timely manner. For people who leave their vehicles parked outside at night, for those who travel frequently, or vehicles left in parking lots during late evening hours, this program is beneficial for you. 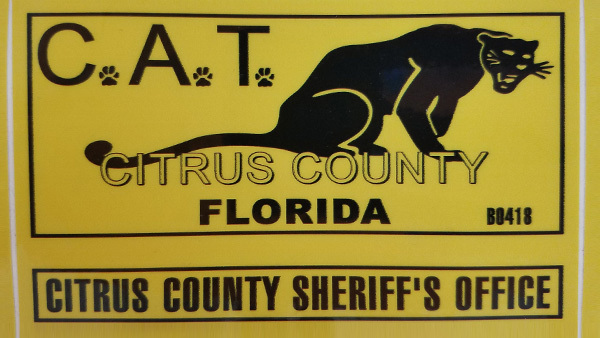 If the vehicle is stolen without your knowledge, the bright yellow decal allows law enforcement throughout the state of Florida, and some other states, to stop your vehicle if seen out between the hours of 1 a.m. and 5 a.m. This allows the law enforcement officer to determine if the driver is authorized to have the vehicle. Bring this application with you to a Sheriff’s Office facility along with your vehicle registration certificate. You will be given a C.A.T. decal to display on your vehicle. What to do if stopped by a law enforcement officer? Remain calm and instruct all passengers not to make any sudden movements. Place your hands on the steering wheel unless otherwise directed by the officer. Follow all instructions the officer gives you. If you have an emergency, tell the officer immediately.